I’m not exactly the type of person to be found in Tuesday Morning (the store) but I did find myself in there one day, and there was quite a bit of interesting stuff. And being someone who has been drawn to the stationery aisle since I was little I found myself in the stationery section, where I found a set of Slant Collections mini journals, this particular set in the discontinued “preppy stripe” (it was Tuesday Morning, after all). Let’s take a look. 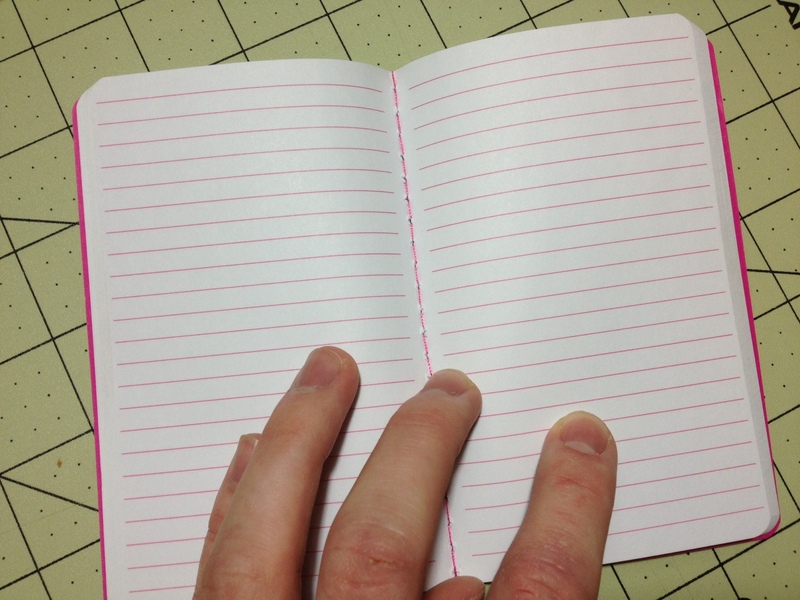 The books themselves are 3¼ x 5¼ inches, just smaller than a Moleskine pocket book. The cover feels like plastic-coated cardboard and in this version has a very simple design that comes in 3 colors. It is a single piece bent around and stitch-bound onto the 70 inside pages. These pages are lined with a thin 7mm ruling that is the same color as the main cover color, printed on a very white background. The paper itself is quite thick and a medium roughness. It is very bleed-and feathering-resistant despite this. Fountain and other liquid ink pens are handled well, and with most other writing utensils both sides of the paper can be used, though at this size I wouldn’t recommend that. The cover and binding are very well done and hold up (the stitching looks very slightly unsightly at times) and the corners are nicely rounded to prevent the corner bending that some books get. On the table the book lies adequately flat and while the cover does bend out of shape it bends back just as easily. In the end I have been surprised by these little notebooks. They are hardy, easy to carry, great writing things. It has taken me some time to review them as they weren’t good enough to replace any of the books in my normal rotation (but that’s more because I prize consistency, a book would have to be head and shoulders above to get met to move something out of my rotation). 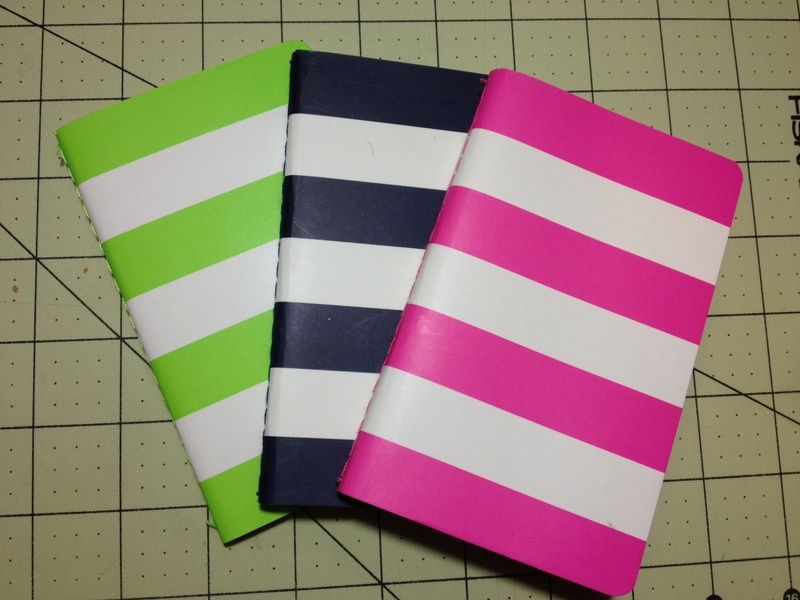 I enjoyed using them very much (even the pink one) and if all of the Slant collection journals are as good as these were I’d consider more in the future.